Farmers of Australia (EFA) has welcomed the finalisation of the Free-Range Labelling Information Standard. “The new standard will bring simplicity and clarity to the term free range and it will ensure that when consumers choose to buy free range they will know exactly what they are getting,” said John Dunn, CEO, Egg Farmers of Australia. “Under the new standard, every farmer must give their hens meaningful and regular access to an outdoor range. Any hen who wants to go outdoors will be able to do so, if she chooses to. “People will also be able to see on egg cartons how many hens per hectare there are on the farm. Displaying stock density information on egg cartons gives the choice to consumers. “This is a win for consumers and a win for farmers. “Consumers will now have confidence that when they buy free-range that’s what they’re getting. They’ll also have more choice with stocking density to be displayed on carton. “After years of uncertainty, farmers will have the confidence to invest in new free range farming facilities and technologies, such as new environmental controls in sheds to keep hens cool during summer and enrichments to range areas. “EFA thanks all state consumer affairs ministers for their work and deliberation in agreeing to this standard. We acknowledge in particular, the Federal Government for their leadership in tackling this issue. “EFA supports consumers in their right to choose which type of eggs they want to buy – whether that be from free range, barn or caged hens. The Federal RSPCA has dusted off its campaign against caged egg production, initiating an online petition urging RSPCA subscribers to send a pre-written email to six egg farms across Australia. Notably, the six egg farms identified farm caged, barn and free range eggs, demonstrating their ongoing responsiveness to consumer demand for different production profiles. No doubt this latest online campaign will produce many standard emails and before you get drawn into that, you might like to consider the following facts. Around 26% of shoppers only ever buy caged eggs and 71% purchase caged, barn and free range eggs. 29% of shoppers only ever buy non-caged and free range. Eggs farmers produce eggs in response to consumer demand. Caged eggs make up more than 50% of production because that’s that product that consumers continue to choose. Each egg production system has unique advantages in terms of egg quality and animal welfare outcomes. Caged production has many unique advantages that alternate systems can’t achieve. EFA supports consumers in their right to choose which type of eggs they want to buy – whether that be from free range, barn or caged hens. If you want to get the facts about caged egg farming, you can check out the attached fact sheet. Recently AECL wrote to all known levy payers informing them of the intention to commence the process to reduce the EADR levy to zero. Due to outbreaks of Avian Influenza (AI) in 2012, one in ducks in Victoria and two among laying hens in NSW, the Emergency Animal Disease Response (EADR) levy was increased in 2014 from zero to 1.4 cents per chick purchased. The industry liability of approximately $390,503 has now been repaid in full, negating the need for the levy. As the process to change the levy takes a considerable time, AECL proposes that any levy collected in surplus of the EADR industry liability will be held in trust by Animal Health Australia for use if the Australian egg industry should incur another EADR liability in future. The Minister for Agriculture and Water Resources has agreed to the commencement of a 30 day objection period to the resetting of the levy. The period will commence on 22 February 2017 and finish on 21 March 2017. If you wish to record an objection please do so by emailing contacts@aecl.org and also to the Department of Agriculture in Canberra levies.management@agriculture.gov.au. For further information regarding the proposal to assist you in determining whether you wish to object or not, please do not hesitate to contact me on 02 94096904 or sue@aecl.org. The New Year has started with renewed interest in the upcoming information standard for free range eggs with media reports flagging concerns by interest groups that the new standard will lead to ongoing confusion for consumers. Egg Farmers of Australia (EFA) is urging consumers not to be misled by the wing-flapping of interest groups. “In March last year Consumer Affairs Ministers from across Australia came together to agree on a national definition for free range eggs. Many different options were considered on what farming system should constitute free range under a national information standard,” said John Dunn, CEO, Egg Farmers of Australia. “Many argued that free range egg farming should be confined to farms with an external stocking density of 1,500 hens per hectare. “After an exhaustive examination of the evidence and a lengthy process of public consultation by Treasury, it was decided that this argument could not be substantiated. “However, that perspective was considered and addressed. Farmers will now be required to display their stocking density on pack. So, when you buy an egg you will be able to choose between stocking densities if that is important to you. “The requirement for stocking density to be displayed on pack is consistent with labelling changes championed by consumer group CHOICE in a June 2015 report. It’s difficult to understand why they keep moving the goal posts and adding unnecessary conjecture to this process. EFA is a national peak body representing the interests of egg farmers in each state of Australia which represents 80% of egg production. For anyone who has an interest in understanding egg farming, please contact John Dunn. “The AECL The Australian Egg Corporation Ltd (AECL) would like to set the record straight on the issue of antibiotics and the egg industry, following some provocative comments on the ABC’s ‘Catalyst’ program last night. Intensive farming practices, in many ways, have only been possible because of the increased and really inappropriate use of antibiotics. Where you’ve got millions of chickens on a one-acre lot, stacked one above the other, the top lot defecating on those below them, I mean, the spread of organisms is massive. “Free range poultry do offer the challenges of the re-emergence of historical diseases and challenges with emergency animal diseases like Avian Influenza. These challenges are being accommodated with enhanced and improved husbandry, biosecurity policies and the use of effective and strategic vaccination programs,” he said. I mean, despite all the mythology about the tons of antibiotics being fed to chickens, it’s a total myth, and, in fact, there are a very restricted range of antibiotics that can be fed, for example, to, well, all chickens, but egg layers in particular. Egg Farmers Australia has welcomed the decision by Consumer Affairs Ministers on a national information standard for free range eggs. “This is a commonsense resolution to what has been an unnecessarily complicated issue.” John Coward, Spokesperson for Egg Farmers Australia said. “For any consumers who have been confused about what they are buying this information standard should end that confusion. Free range hens are free. They are free from cages, free to move about inside the barn and importantly they are free to go outside if and when they choose to. “The decision by Ministers to define free range hens as having meaningful and regular access to an outdoor range where they are free to roam and forage brings commonsense to an emotional debate. Choice for hens is the winner on the basis of this definition. “Consumers too have secured a win. With the new requirement for stocking density to be mandated on pack, shoppers will be empowered through choice. “Most importantly for industry this provides certainty. The debate on free range has delayed investment in new farms and has placed a hand-break on innovation and productivity. “I congratulate Federal Minister Kelly O’Dwyer and State Consumer Affairs Ministers for their deliberative and evidence-based approach to this issue. In particular I single out NSW Minister Victor Dominello for his leadership. His engagement on this issue has brought clarity and intellectual rigour to the debate and his consultative approach has ensured that the outcome gives confidence to consumers and certainty to farmers. The farming community acknowledges that without Minister Dominello, this debate would never have been resolved,” added Mr Coward. Egg Farmers Australia welcomes the clarity a decision has brought to Free Range Eggs. State and Federal Ministers have agreed on a definition which emphasizes that hens must be given meaningful access to the range, which means hens will have the freedom to roam as they please. Representatives of Egg Farmers Australia have reaffirmed their unity on a definition for free range in response to the Consultation Regulation Impact Statement on Free Range egg labelling (RIS). Representatives from Egg Farmers Australia met in Sydney yesterday (Thursday) to discuss an industry response to the RIS and affirmed that they were united in their approach. “I want every consumer to know that Egg Farmers Australia has heard the calls for clarity. And we have responded. “Today, farmers from across Australia stand together and call for an end to the confusion on free range eggs. We are proud of the eggs we produce and we stand behind our production systems. “Our farms do not exist without our customers ‐ earning and retaining their confidence is core business for us. “As a result of our meeting we have agreed to ask Treasury to formally legislate in Australian Consumer Law the EFA definition of free range. “Our definition is that laying hens have access to and are free to roam and forage on an outdoor range area during daylight hours in a managed environment. “Getting the definition right is a critical one for our industry ‐ it’s important to strike a balance between providing surety for our farmers and transparency for our consumers,” Mr Coward concluded. 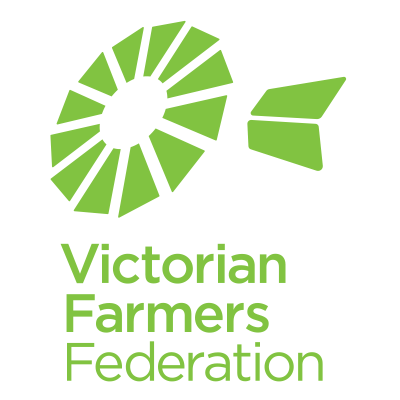 EFA members are the Victorian Farmers’ Federation Egg Group, NSW Farmers’ Association Egg Committee, Commercial Egg Producers Association of Western Australia, Tasmanian Commercial Egg Producers Association, Queensland United Egg Producers and South Australian Local Egg Section. Egg Farmers of Australia (EFA) has welcomed the Regulatory Impact Statement (RIS) issued today by the Commonwealth Government. Egg Farmers of Australia spokesman, John Coward, said the industry was keen to ensure certainty on free range eggs and egg labelling for consumers and egg farmers alike. Egg Farmers of Australia has provided a free-range proposal to the government that calls for a prescribed external stocking density of no more than one bird per square metre, as well as good farming practices around access to outdoors and the external environment required for effective free-range egg farming. “Recent consumer research shows this proposal meets or exceeds the expectations of nearly three quarters of Australian free-range egg buyers. So we have clear evidence the vast majority of consumers accept a free-range egg standard of one bird per square metre,” Mr Coward said. supplying the market with free-range eggs,” he said. Egg Farmers of Australia will be considering the contents of the RIS and making a submission on the matter in the near future. 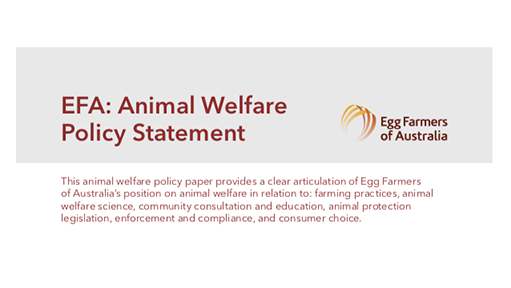 Egg Farmers of Australia (EFA) has endorsed the national approach to egg labelling agreed to by State and Federal Ministers for Consumer Affairs this morning. The Ministers agreed to pursue an enforceable national definition for free range eggs at a meeting in Melbourne. EFA spokesman John Coward said a national approach would help build consumer confidence in eggs as well as clarity and certainty for egg farmers. “We want to make sure consumers get what they are paying for. But some people in this debate are forgetting about the rights of egg farmers, who are the experts when it comes to farming. Investment in the free range sector appears to have slowed because of the lack of clarity around the definition of free range,” Mr Coward. “However, we don’t want to rush into a new labelling system without proper consultation with egg farmers to ensure we get the details right,” he said. Earlier this week, Egg Farmers of Australia presented Minister Dominello with a new definition of free range agreed to unanimously by the State Egg representative bodies that compromise EFA. Mr Coward said he hoped for an outcome that would ensure existing free range egg farmers could continue farming to accepted principles. 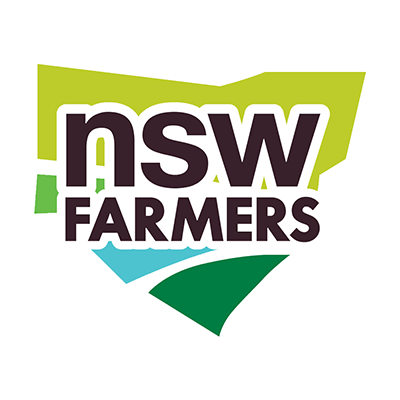 For media enquiries, please call (02) 9409 6909 or visit www.eggfarmersaustralia.org. Egg Farmers of Australia has endorsed a new definition of free range egg production that will help build consumer confidence and provide certainty for egg farmers. The new definition, that covers a range of points relating to the management of free range egg farms, was presented to the NSW Minister for Innovation and Better Regulation, Victor Dominello in a constructive meeting in Sydney this morning. Egg Farmers of Australia spokesman, John Coward, said he was hopeful that Minister Dominello will take that definition to a meeting of Ministers for Consumer Affairs/Fair Trading in Melbourne on Friday. That meeting will aim to find ways to improve egg labelling in Australia. ”Egg Farmers of Australia believes it is imperative consumers get what they are paying for when it comes to egg purchasing,“ Mr Coward said. “There has been some confusion regarding the current definition of free range in the Model Code of Practice for Domestic Poultry – 4th Edition (http://www.publish.csiro.au/pid/3451.htm) but the new definition agreed to by the majority of the egg industry yesterday, after considerable consultation with all State representative bodies, will aim to improve consumer confidence and egg farmer certainty,” he said. “The egg industry is pleased the Minister will consider progressing such a constructive view of the issue to a national approach to egg labelling. We hope others involved in this debate, such as Choice, will take a constructive and responsible approach on this issue. All we have heard from Choice recently are cheap shots from the sideline that highlight their lack of accountability,” he said. For media enquiries, please call (02) 9409 6909. Egg Farmers of Australia is the voice of Australian egg farmers. We advocate on key policy issues affecting our industry and promote egg production by providing transparent information to the public. 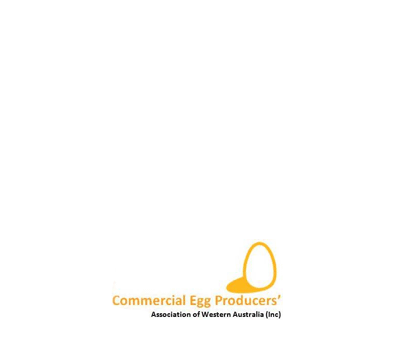 Egg Farmers of Australia is the national representative body of Australian egg farmers. We represent eighty five percent of all Australian egg farming. 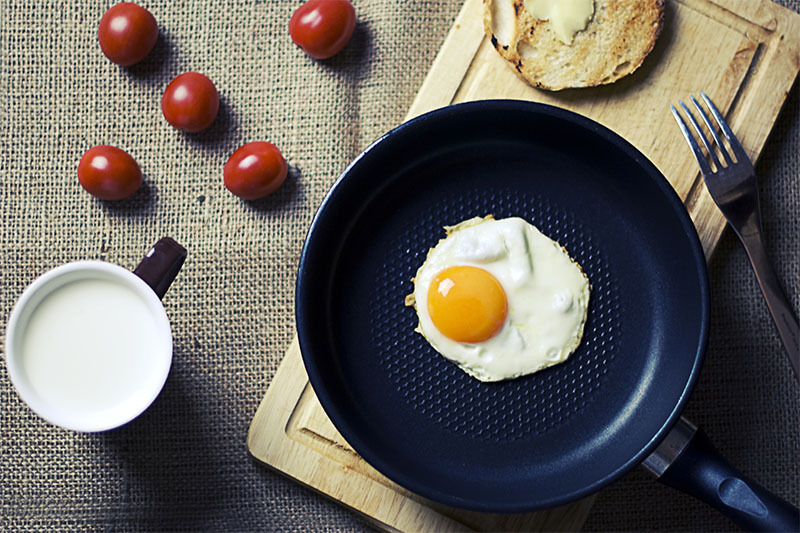 Egg farmers produce 15 million eggs every single day of the year to feed Australian families. We represent eighty five percent of all Australian egg farming and our members are involved in all farming methods, including cage, barn and free range. We’re committed to openness and transparency in our core responsibilities of promoting and ensuring the sustainability of the Australian egg industry. Egg Farmers of Australia works with our members to promote continuous improvement in all aspects of egg farming. Egg farmers produce 15 million eggs every single day of the year to feed Australian families. About half of all eggs are bought by consumers in supermarkets and grocery stores, the rest go to food manufacturers, restaurants, cafes and other food outlets. Egg farmers use three main farming methods to meet consumers’ needs. These are cages, barns and free range. Each method has advantages and disadvantages, but all are vital to meet the needs of Australian families. Scroll down to find out more about each method. What’s the difference between systems? There is no difference in the product – an egg is an egg is an egg. However, each system of production has benefits and disadvantages. See below for a comparison of some key indicators against each system. Many people are concerned about animal welfare, most of all, egg farmers themselves. An egg farmers’ primary concern is the welfare of his or her hens, because healthy hens mean healthy eggs. EFA is a primary supporter of legally enforceable animal welfare standards for each farming method. This ensures that consumers can have confidence that our hens are protected and that all farmers are meeting those standards, and therefore the community’s expectations. More information on the scientific research that underpins our commitment to animal welfare can be found HERE. 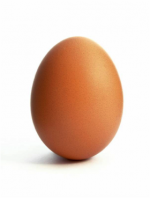 DOWNLOAD our egg farming fact sheet, or visit the Australian Eggs website. For and international comparison visit the Coalition for Sustainable Egg Supply website. The Coalition is comprised of leading animal welfare scientists, academic institutions, non-government organisations, egg suppliers, and restaurant/foodservice and food retail companies. The Coalition recently completed a three-year study into egg production and the results can be found HERE. Fifty per cent of all eggs sold in supermarkets are cage eggs. Although consumer demand for free range eggs has risen over the past decade, cage eggs remain an important and affordable option for many Australians. Most people know that cage eggs are cheaper but it surprises many to find out that on most animal welfare measures they rate the same or better than free range. Cage eggs also have the lowest carbon footprint. has the lowest risk of predators. Combined, these benefits make cage eggs the most affordable and sustainable egg for consumers. Should Cage Eggs Be Banned? It is no surprise to farmers there is concern about cage eggs. This method of production has been much maligned, with misleading information, important facts ignored and emotive messages directed at the public. A ban or mandatory phase out is a drastic measure that is unnecessary and impractical. It’s unnecessary as well managed cage systems that meet national standards have the highest levels of hen health and bio-security. EFA wants these standards legally mandated. Any such move is also impractical as it will cause massive loss of production, significantly increase the price of eggs and put the financial burden of industry change on governments and consumers. It will also take away consumer choice. Farmers have, and will continue to respond to consumer preferences. Over the past decade consumer preference has increased the demand for free range eggs and farmers have adjusted accordingly, taking on those transition costs. Free range eggs or cage eggs? As the national representative body, Egg Farmers of Australia is committed to openness and transparency in carrying out its core responsibilities of promoting and ensuring the sustainability of the whole Australian egg industry. This includes through the development and advocacy of policy, and in our participation in public conversations on issues affecting the industry. Egg Farmers of Australia believes in the welfare of our hens and is committed to providing consumers with confidence in all farming methods employed in the Australian egg industry. 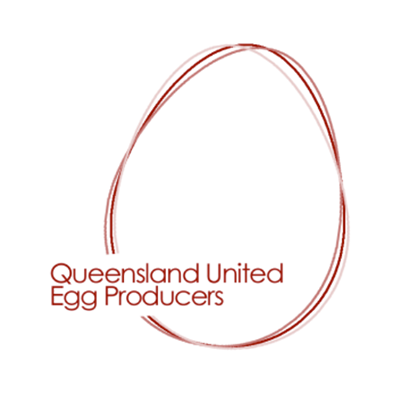 Egg Farmers of Australia is the national representative body of Australian egg farmers. We represent eighty five percent of all Australian egg farming and our members are involved in all farming methods, including cage, barn, and free range.